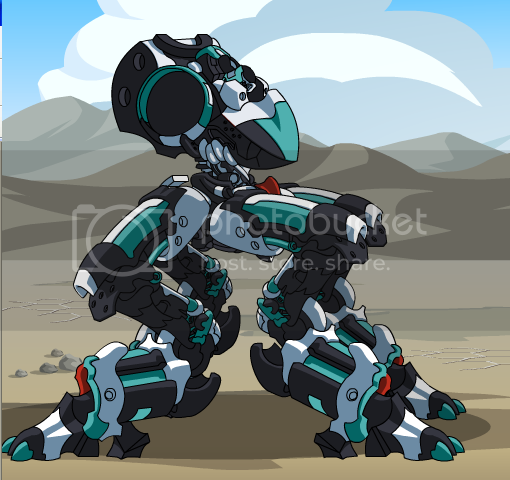 Description: Improved Geekatron Body with decreased cooldown allowing and increasing combo rate. This model walks on four legs. May Synergize with certain matching weapons. Quad Body + Scanner Blade + Dual Strike = "Super Regeneration Activated" Regenerates 30 HP each turn. 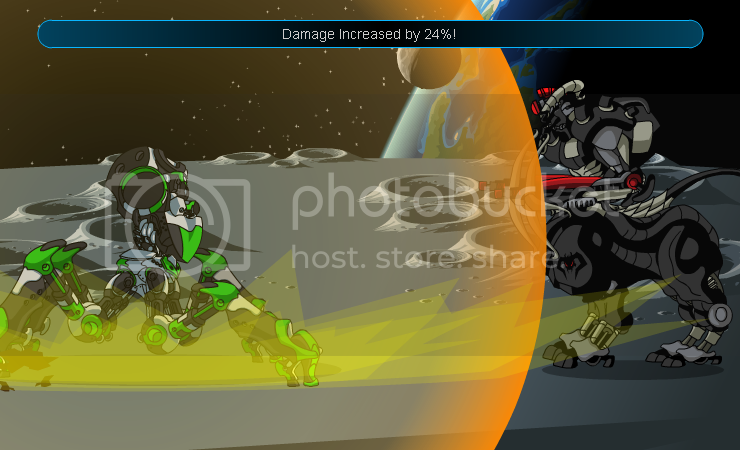 Quad Body + Scanner Blade + Rockets = "Super Regeneration Activated" Regenerates 30 HP each turn.